Adrenaline. It's true many hunters seek it out. But the rush can ruin shot placement in that very moment when hunters can't afford to be too hyped. Adrenaline is one reason hunters hunt, though it doesn't come up in too many — if any — surveys about hunter motives. But it's the thing that makes a hunter feel alive. It's a test we seek out. And it's wonderful when the stakes are high. The longer you pursue an animal, the higher the stakes. So, yes, we seek it out. But it can also blow things up when a hunter is better served by being chill, dialed in and robotic enough to be both stealthy in movement and precise in aim. That leaves us with this question: how do you claim that rush without the rush claiming you? A student handbook for new hunters, published and distributed by the Archery Trade Association, offers basic and useful tips for hunters who need to take it down a notch. We've also researched the topic a bit, and added layers to those tips that should be useful to all hunters at any level. 1) Focus on your breathing. To help control adrenaline, according to healthline.com, "you’ll need to activate your parasympathetic nervous system, also known as the 'rest and digest' system. The 'rest and digest' response is the opposite of the 'flight or fight' response. It helps promote equilibrium in the body, and allows your body to rest and repair itself." Breathe in slowly and deeply, pushing your stomach out so that your diaphragm is put to maximal use. Repeat the entire sequence five to 10 times, concentrating on breathing deeply and slowly. 2) Keep your body relaxed. Try to reduce tension in muscles throughout your body. This will make it easier to steady your shot. This is particularly true for bowhunters. Reducing tension makes it easier to draw your bow and hold it steady for longer periods of time. 3) Also, once the shot is made, don't let adrenaline steal your stealth. Once you shoot, gear down even more. Sit tight. Yes, this is basic. Intellectually, hunters know this stuff. But the reminder is effective here because adrenaline is an emotional response, often overriding your intellectual response. Don't let it. You can slow emotional responses by simply not responding at all until you've tapped into what you are supposed to do instead of what you're wanting to do. Often, what hunters want to do in this situation is to leap from your set up and get after your target, a target that's darting away. Check the time immediately following your shot. 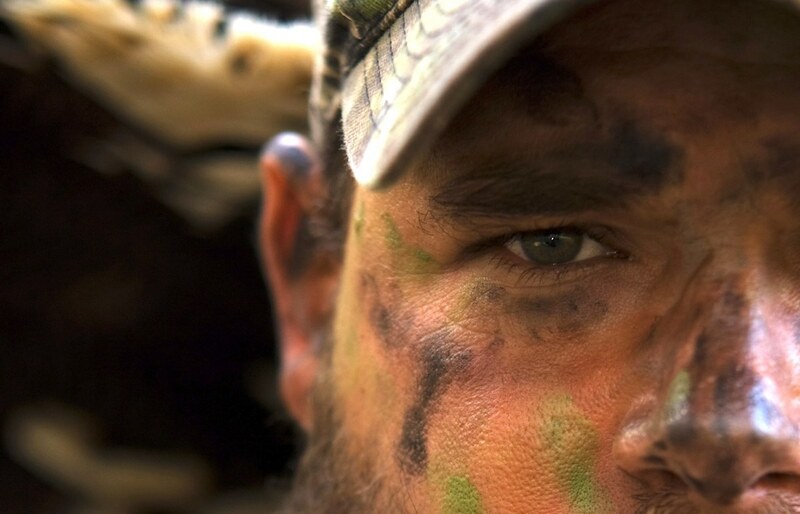 When bowhunting, wait at least 30 minutes until leaving your treestand or ground blind. Review the shot in your mind's eye: how did the animal react to your shot? What direction did the animal go? Do not hurry. Instead, if blood trailing is necessary, mentally walk through next steps to recreate the animal's path and identify the first traces of blood. 4) Exercise isn't only about the body. Most often, hunters consider exercise important when hunting terrain that requires increased exertion or stamina. This is particularly true for backcountry hunters who often stalk animals on foot and camp for days in pursuit of wild game. But exercise and fitness can also have a positive affect on controlling your adrenaline. Those hunters who are in good physical shape, typically have reduced levels of stress hormones such as adrenaline and cortisol. "(Exercise) also stimulates the production of endorphins, chemicals in the brain that are the body's natural painkillers and mood elevators," according to Harvard Health Publishing. Psychology Today defines adrenaline as "a substance released in the body of a person who is feeling a strong emotion, such as excitement, fear or anger." That substance is a hormone and it's released by the adrenal gland. Its release increases blood circulation, breathing and prepares muscles for exertion. While adrenaline has value as it relates to preparing the body for moments of "fight or flight," it acts as a disrupter when a hunter must rely on a calm, focused demeanor when precision and accuracy are required.